For most of human history, clothing has been handmade. Even today, while textile production is fully automated, garments are sewn and pieced together by human hands on sewing machines. Before the proliferation of ready-to-wear clothing, each garment was made individually. Even after the Industrial Revolution, up into the early part of the 20th century a dress, for example, was made for the person who would wear it. Though ready-to-wear apparel has been available for a long time, the ability to walk into a store, pluck a garment off a rack, or order it online is a relatively new concept. In the not too distant past, a garment would last for a very long time. Today, we purchase an item of clothing, wear it a few times, and toss it. The creation, production, and distribution of clothing is the largest manufacturing business in the world. Archeological records show that merchants in Ancient Babylonia shipped and distributed some ready-to-wear garments as early as 1400 BCE (BC). In Ancient Rome, garments were produced in workshops of up to 100 workers to outfit the military. Before 1300 CE (AD) people did not wear fitted garments. Middle Eastern people wore loose, flowing robes. Medieval Europeans wore linen under-tunics and wool top tunics made of such durable fabric that a garment lasted a lifetime. Women spun wool into thread and weavers, generally men, wove fabric in home workshops. After 1350, clothing became more form fitting. A small ready-to-wear industry soon began to produce shirt accessories such as detachable sleeves and collars, as well as gloves, and hats. By the second half of the 16th century, gloves, stockings, collars, and hats were imported and exported in bulk quantities. Before the Industrial Revolution, most textile and garment production existed on a small scale in home home workshops called cottage industries. Merchants dropped off raw materials to the workers' homes where production relied on self-pacing and included low and highly skilled work. 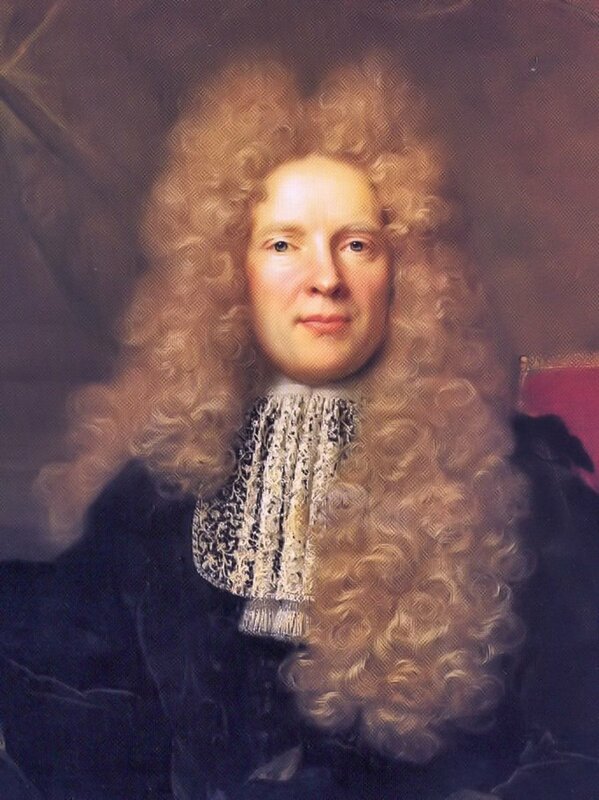 In 1738 Lewis Paul and John Wyatt of England invented the Roller Spinning machine which spun cotton into thread. By 1764 a multi-spool spinning wheel was able to spin thread more quickly than ever before. The Water Frame was invented by Richard Arkwright in 1770 produced stronger threads and was powered by water. It was the Water Frame that made it possible to move textile production from the cottage to a factory like setting. 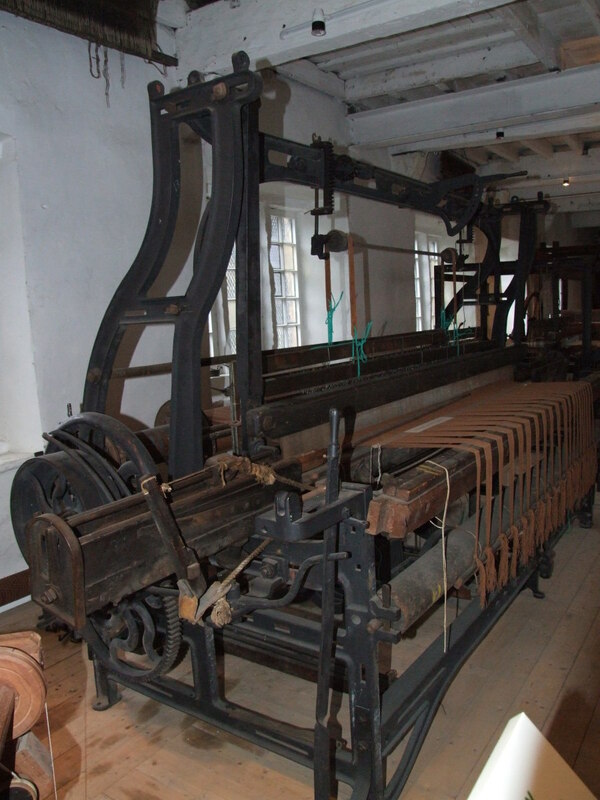 The Power Loom, patented in 1784 by Edmund Cartwright wove threads into cloth on a machine. As later improvements increased speed and efficiency, women began to replace the men who were formerly weavers. By 1880 there were 250,000 cotton power looms in Britain. The first merchant ship to fly the fledgling United States flag exported ginseng and imported hats, men's breeches, and gloves. By the late 1700's Bristol England was home to over 200 businesses that exported hates, gloves, drawers, pants, stockings, shirts, jackets, and footwear. Early in the 19th century some large scale apparel production still relied on hand sewing for piece work. In 1835, a New York company advertized for 800 tailors, and 1200 plain sewers. The invention of steam powered machines for producing textiles and clothing drew the ire of frightened craftspeople. In England and France angry tailors and weavers who saw the machinery as a threat to their livelihood stormed factories and wrecked the machinery. Textile and garment work became fast paced and dependent on the large amounts of capital that it took to purchase machinery and physical plants. 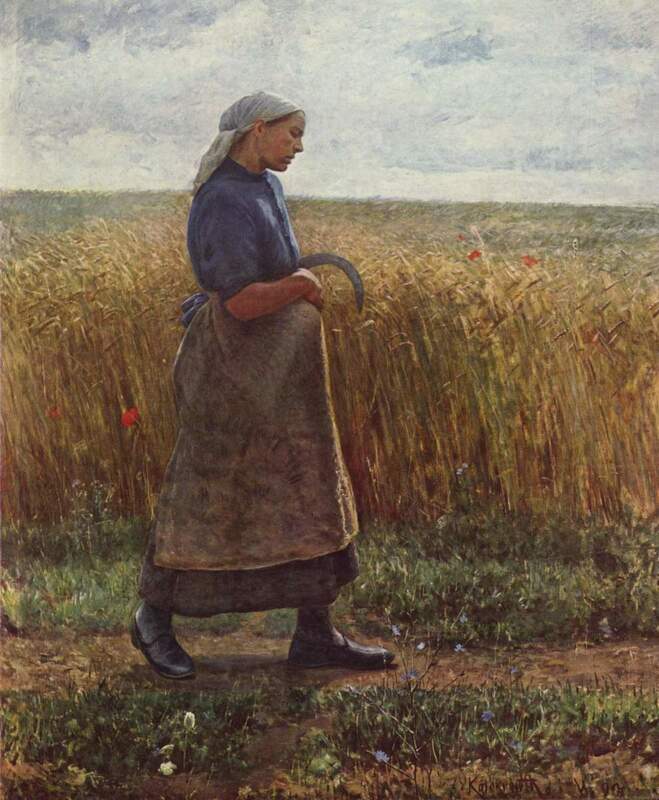 Workers lost their individuality, independence, and society's reliance on their skills.They were no longer crafts people but employees, just cogs in the wheel. By the 1880's large mills and factories produced fabric and garments including over coats, petticoats, shirts, trousers, gloves, hats, and footwear. 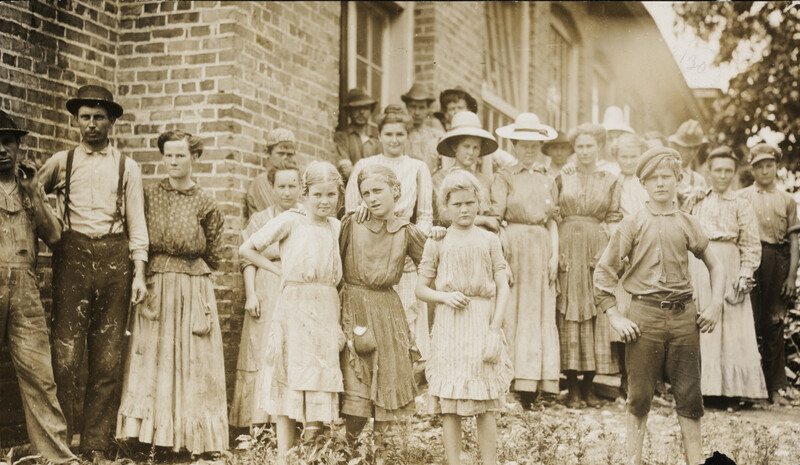 The mills and factories of the Victorian era offered grueling work at poverty wages. The air filled with floating fibers that caused respiratory problems for the workers. Dim lighting ruined eyesight, and toxic dyes poisoned workers. Women and children worked 12 hour days. During busy seasons, work hours could extend to 20 hours a day. Children who fell asleep at their work were beaten or fined. Low wages kept workers poorly nourished living on tea, bread, butter, and cheese with only occasional scraps of meat. In England, lawmakers enacted early labor standards in 1833. The new child labor laws mandated an 8 hour work day for 9 year olds. 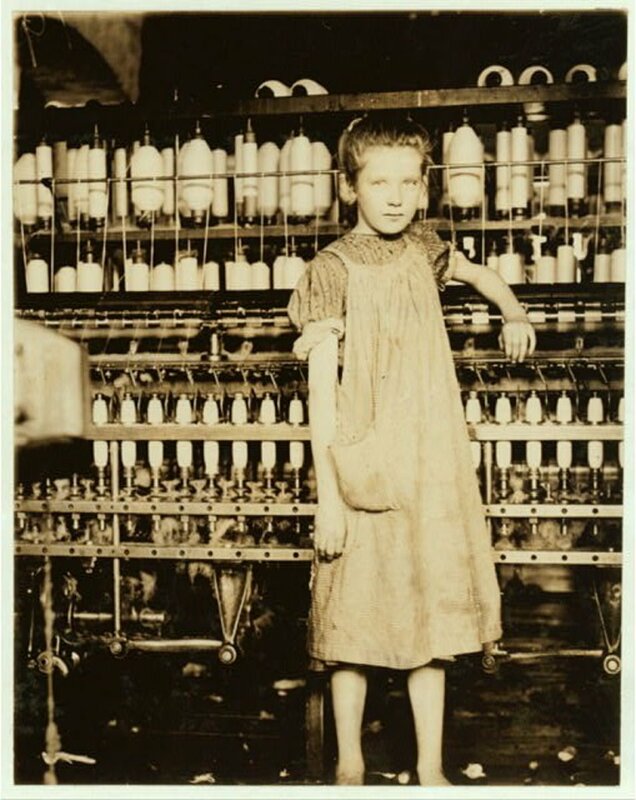 Younger children were no longer allowed to work in mills or factories. The invention of the sewing machine by Elias Howe in 1846 allowed workers to piece garments together quickly. Though many attempts were made and many types of sewing machines were produced, Elias Howe was credited for basic design. Along with marketing by business savvy Isaac Singer, Howe's invention changed the garment trade forever. (Later, Singer was to introduce the home sewing machine, advertized to help women save money on domestic help). Despite the proliferation of ready-to-wear garment factories, may items of clothing were still handmade, tailored for the wearer. 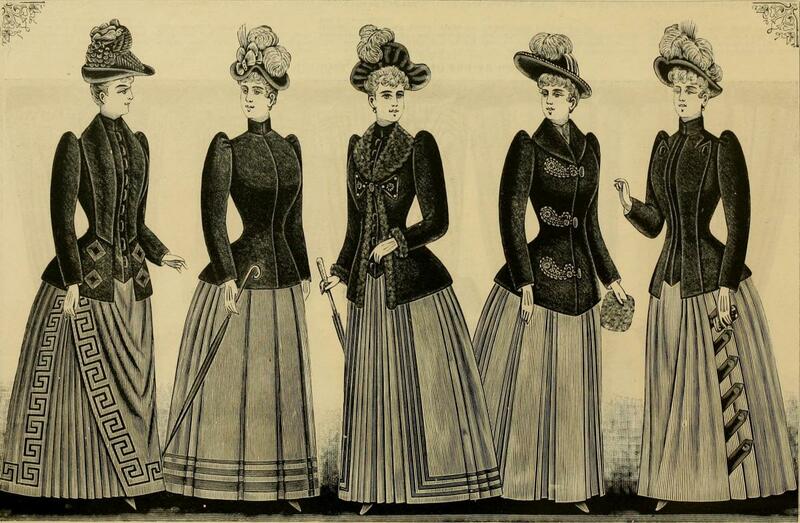 Wealthy and upper middle class women took samples of fashion illustrations to a seamstress. After the selection of the fabric, the seamstress would adopt the garment design to the customer's measurements. 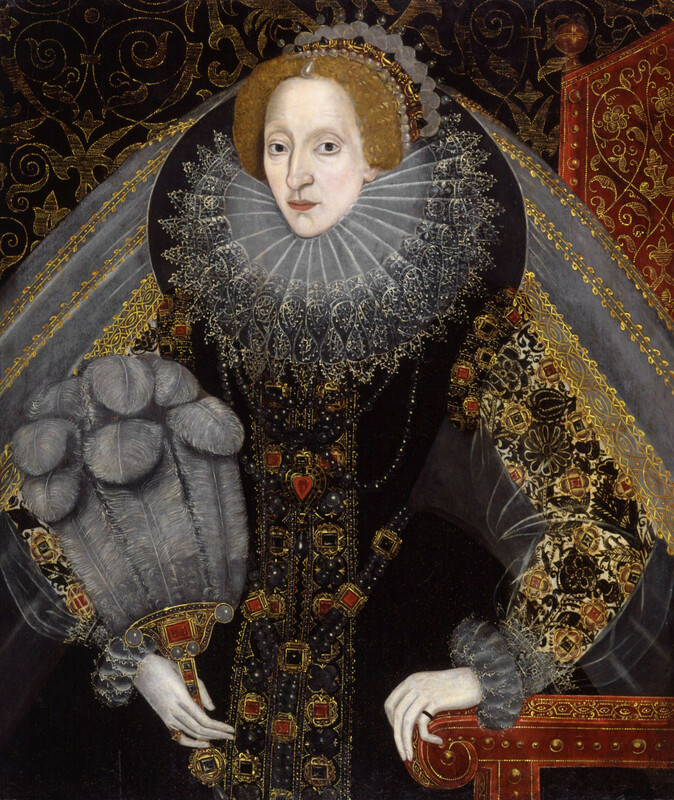 High end fashions were often copied by the middle class. My own great aunt would visit a couture clothing shop to try on garments. If she liked a dress, she turned it inside out, carefully studied the pattern then copied it at home. 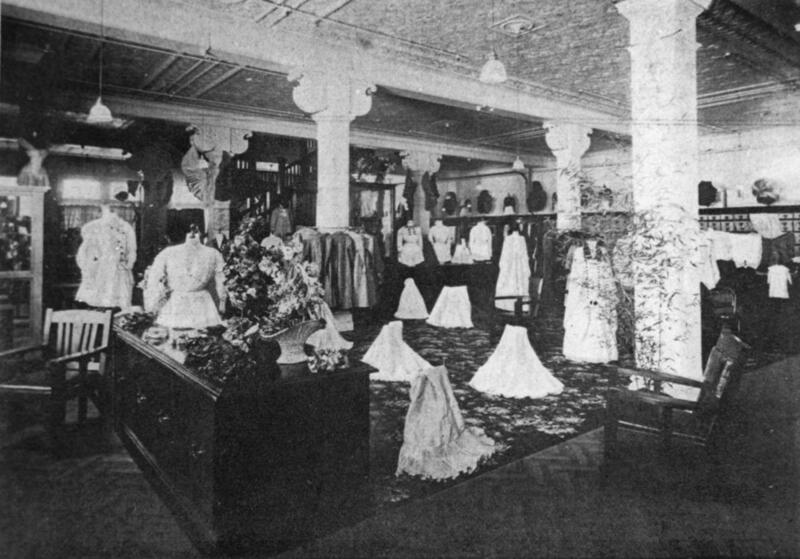 In the late 19th century, the department store introduced the idea of consolidating large amounts of mass produced goods for public consumption. Huge, beautifully constructed buildings offered restaurants and tea rooms as well as consumer goods. By the early 20th century department stores began to feature knock-offs. 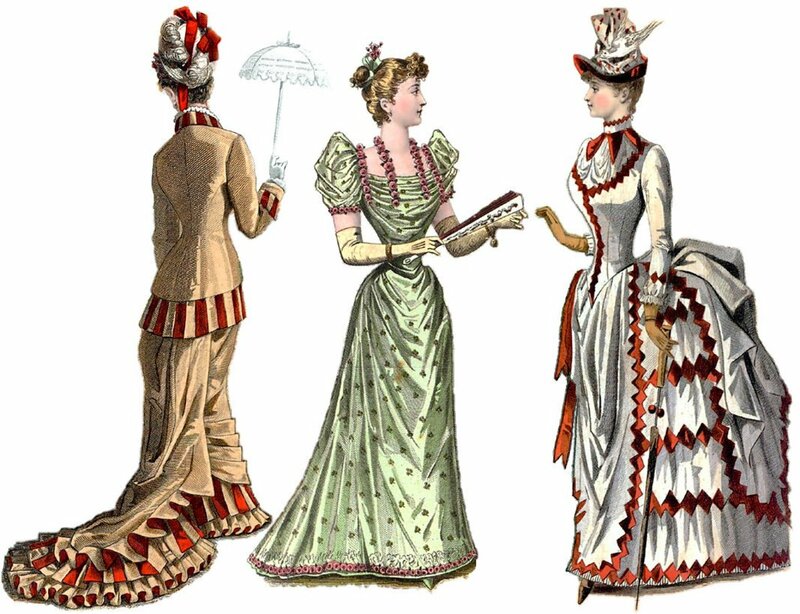 In 1902 Marshall Fields' offered copied couture dresses for $25.00 ($621.00 at today's prices) compared to $75.00 ($1864.00 at today's prices) for the upscale version. Department store advertising fed the public's awareness of new styles creating a demand for new looks. Where pre-industrial designs lasted for years, now new fashions appeared every season. In the United States at the turn of the 20th century mills and factory conditions earned the attention of progressives. Attempts to unionize erupted in violence and workers' strikes were seen as being influenced by socialists. Much of the work done in factories and mills as well as the piecework performed in apartments was done by immigrant women and children. 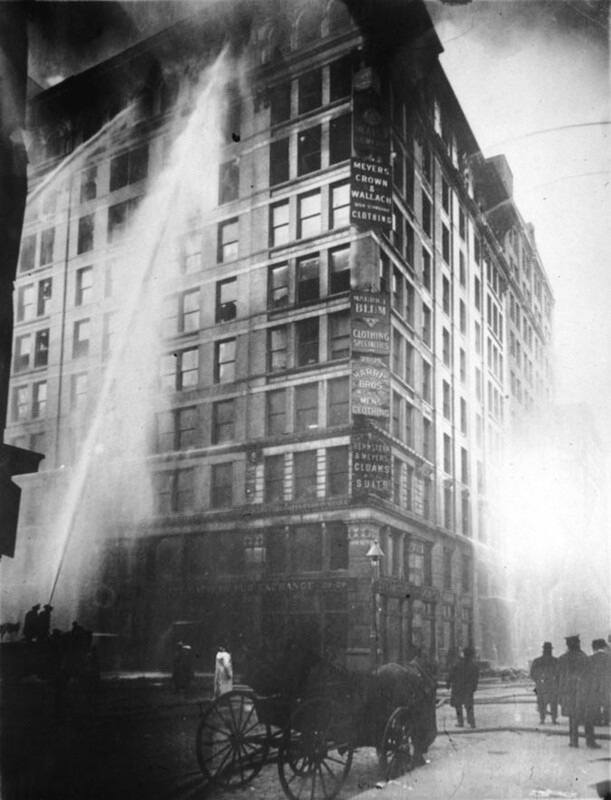 Dangerous work shops and low pay were brought to the forefront when the Triangle Shirtwaist Factory Fire erupted on March 25, 1911. Young workers had been locked in and were unable to escape the inferno. As the fire spread, 62 girls jumped to their deaths, some holding hands, driven mad by the heat. 146 workers were killed that day, the youngest two were only 14. Fire hoses and ladders were not tall enough to reach the blaze. The fire nets were not strong enough to contain the falling bodies. The tragedy drew the attention of the public. 400,000 people lined the streets to pay respects to the lost young workers. The Triangle Shirtwaist Fire drove a new public awareness and led to workplace safety and labor regulations. 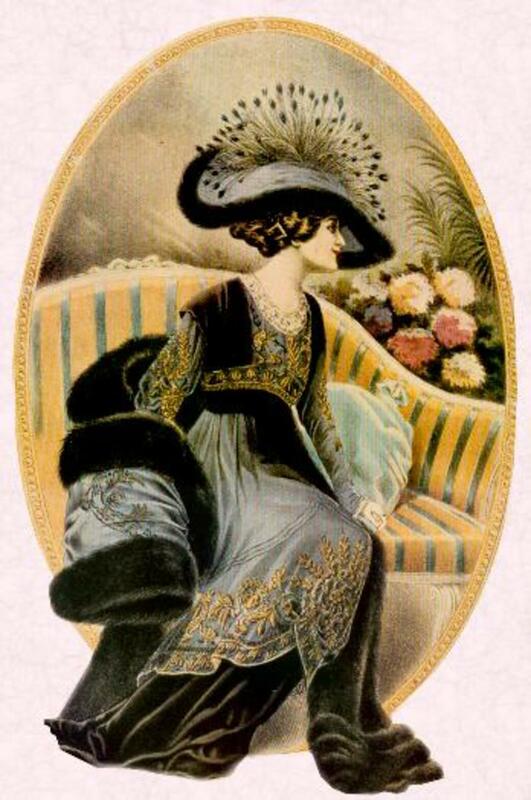 In the 1930s, women's fashion magazines often presented illustrations for clothing patterns. 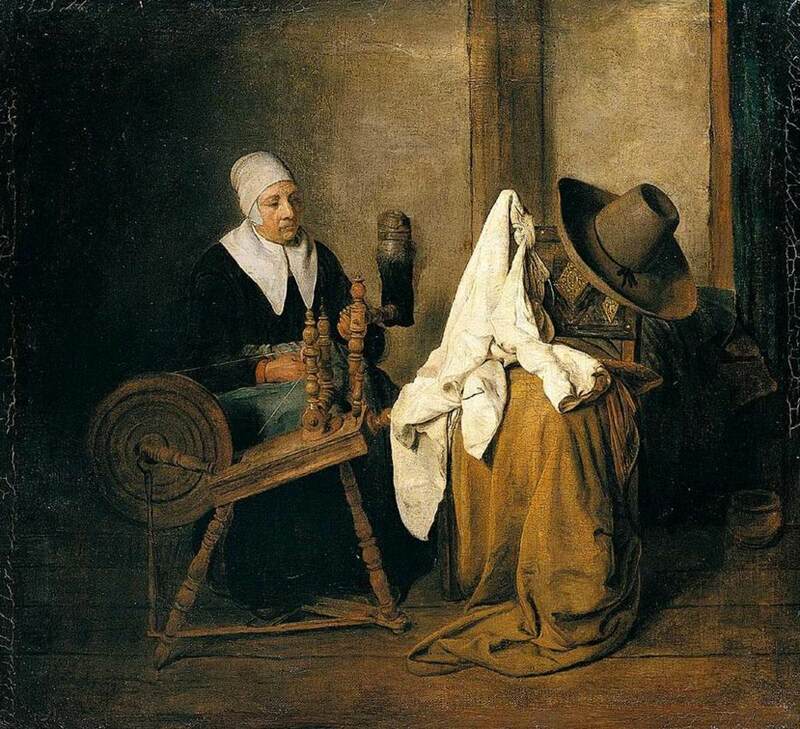 Many women still made their own clothes at home. Near the end of the Great Depression the Roosevelt Administration created a project to standardize women's measurements. From July 1939 - June 1940 American women were measured in order to formulate average sizing. This would save on alterations and cut down on store returns increasing the sales of ready-to-wear apparel. As mass production increased, the style of clothing became more simplified. In order to offer more affordable apparel, the amount of fabric and embellishments used in clothing construction decreased. Still, garments were generally well made and could last for years. Wide seam allowances made it possible to alter or repair a garment at home. The mid 20th century brought an overall rise in US wages and a growth of the middle class. As purchasing power increased people began to buy more articles of clothing. The US, particularly New York City, was a hub of garment manufacturing and distribution. In 1965, 95% of American's clothing was made in the the US. Large corporations increased advertizing budgets to induce shoppers to spend. Large retailers sought customers by introducing new lines more frequently. The new simpler clothing designs and new miracle fabrics made apparel easier and cheaper to produce. Today, 40% of all fabric fiber produced is polyester which is basically plastic. Fabrics have become thinner and less durable than in the past. Even brand names have reduced quality to compete with large retail chains. While retail stores once introduced new lines four times a year (for each season) many chains now bring in new designs every two weeks. H & M and Forever 21 see incoming shipments of new styles nearly every day. Forever 21 can create a style from design concept to the rack in 6 weeks; H & M in 8 weeks. Over consumption is today's hottest fashion trend. 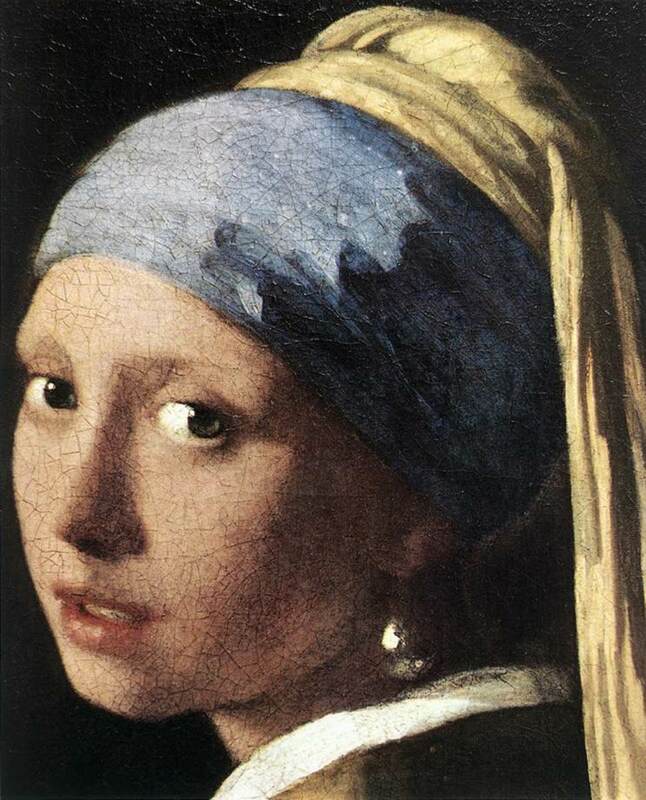 Where once a garment lasted for years, women think nothing of wearing a piece of clothing 2 or 3 times. Our closets have grown to hold vast clothing collections. While mid 20th century homes offered small closets, today's new homes feature walk-in closets the size of a small room. In the not so distant past trade barriers regulated garment imports and bolstered the US apparel business. In the 1990s deregulation made the import of cheap apparel from developing countries more advantageous for the garment industry. Thousands of US garment and textile workers lost their jobs when NAFTA encouraged the industry to move operations from Los Angeles to Mexico. US wages were pushed down to compete. Garment and textile factories popped up in China and Bangladesh where labor was cheap. Unregulated producers were free to pollute the air and discharge chemicals into the waterways. Workers had little protection, enduring long hours, low pay, and abuse. In 2009 a Federal judge ruled that Walmart was not responsible for the terrible conditions that overseas factory workers endured, declaring that the foreign workers were not actually Walmart employees. Dismal conditions in foreign countries began to mimic the deplorable conditions of Victorian England. The plight of these workers was brought to a head in April 2013 when a factory in Dhaka Bangladesh collapsed and killed 1129 workers. Do you have any information about male sizing systems of the early ready-to-wear-industry in the 19th century? Ready to wear garments were introduced for the military. During the American Civil War measurements were taken of men in order to gauge averages to create ready to wear garments.The development of the sewing machine made mass production common. 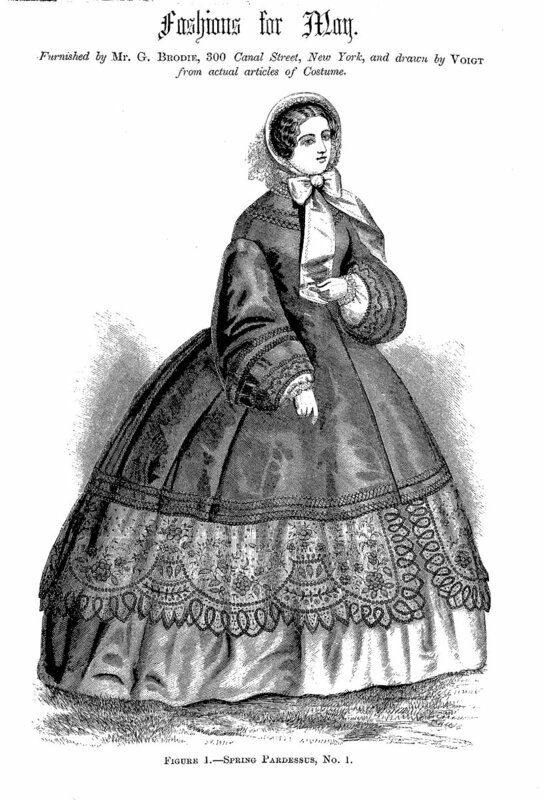 By the 1870s commercially produced paper garment pattern became common. Off the rack clothing is cheaper to produce than custom so the new method became a popular way for men without great means to dress. For in depth information on this topic, read "Sizing in Clothing Developing effective Sizing Systems for Read to Wear Clothing," edited by S.P. Ashdown from Woodhead Publishing. Chapters are written by a number of authors. suzettenaples - thank you for sharing your story and comments! Though I do sew occasionally, I am not up to make any kind of complicated garment and pretty much stick to simple things like curtains and bags. What an interesting article! I enjoyed reading this. I love clothing but have cut way back on what I buy today. You are correct in saying we wear something two or three times and then throw it away. I have stopped doing that. I worked at Chico's in Naples, FL and what a hoot that was. New clothes came in daily and they were constantly chucking the 'old clothes' after about two weeks. Incredible! I really identified with this article. My grandmother worked at McGregor's shirt factory during the 30's 40's 50's and 60's. She sewed the sleeves into the shoulder of the shirt. I was able to watch her at work one day and I couldn't believe the speed at which she did this. Needless to say, I learned how to sew growing up. My mom sewed too and showed my sister and I how to sew. But, she made it so darn unpleasant that to this day I hate to sew anything. I had to sew perfectly straight seams or I had to rip them out. Sew and rip was not my idea of fun or of creating an outfit. But, at least I can sew a button on a shirt. LOL! 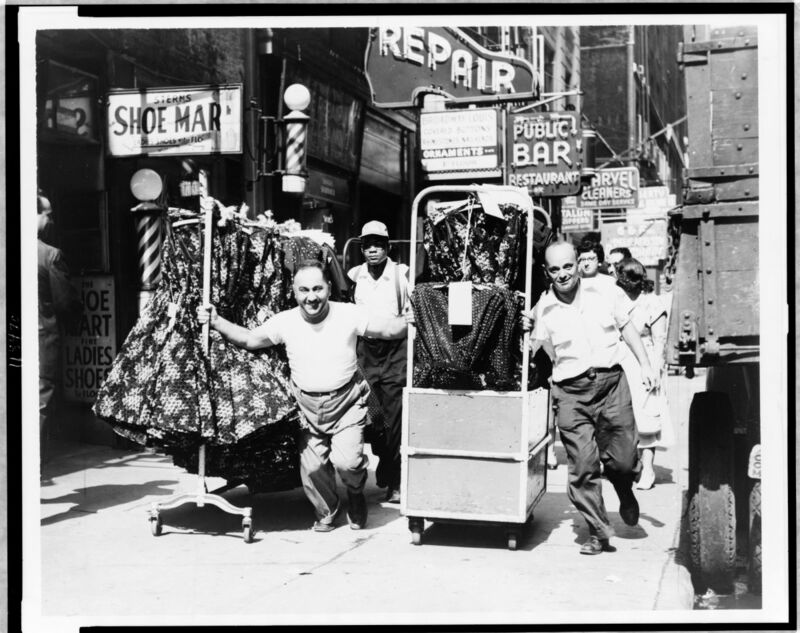 I remember in NYC in the 60;s seeing the garment district and the guys running the rack of clothes along the sidewalk. The designers clothing would whoosh by the cars on the street. I couldn't imagine how they stayed clean. I finally learned how to spin sheep's wool into yarn a few years ago. Actually, that is a soothing and fun thing to do and I learned how to weave rugs on a loom. I can't imagine doing that all the time to create cotton or linen to make clothing out of. But, again, at least I know how to do it. But, this is why I have such an interest in clothing and fashion. I really do know how to do it from the sheep's wool to the clothing rack in the store. It is one of the few talents I have literally from the bottom to the top of then selling the product. But, it makes me appreciate clothing and how it is made (and sometimes not made so well). Thanks for such an interesting article! Voted up and shared. Dolores - I agree with you, to the States standards we were definitely not cool. To tell you the truth we did not even know about "cool" You must remember I grew up in the Apartheid era and the government decided for us what we must see, what we must listen, what we may read etc. I can promise you today's standards in South Africa I would have been "cool" wearing all the "cool" labels, that is the point, even though we did not know the word "cool" it was cool to make your own clothes. I was very popular with the 'in" crowd and I had the boys standing in a long row for me! Hendrika - I encountered brand awareness for the first time in the 9th grade. You just had to have a certain brand of dress, I can't even recall the brand. If you did not, you were just not cool. When I was a little girl in the 60's, my Barbies had handmade dresses. This woman made them and sold them and they were awesome. Even then I recognized that the styles were hot, the fabrics natural. Our Barbies had originals! It is interesting to see how things moved. In my youth, during the 50's and 60's making our own clothes was very fashionable in South Africa. You were actually ashamed to buy anything you could make yourself. This was long before brand awareness in South Africa and it was the biggest disaster EVER to see someone with the same dress than yours. Shops also did not have row upon row of the same garment. 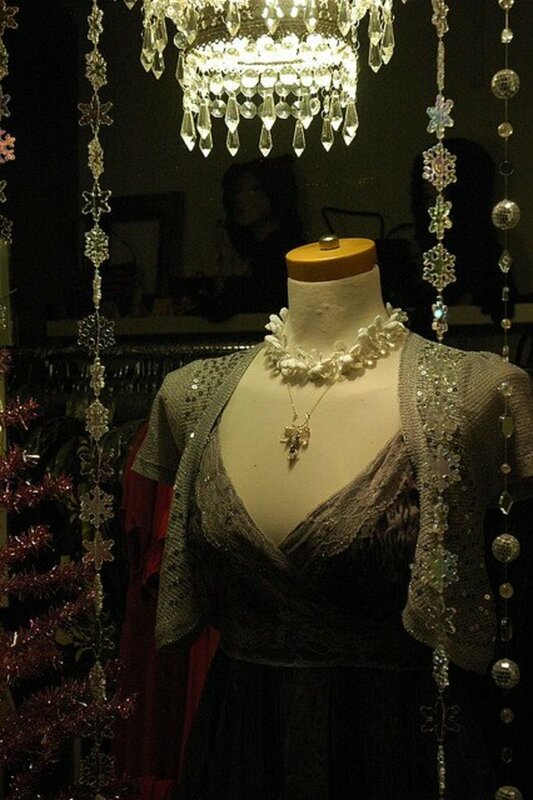 A shop would only have one of a kind and it was really very rare to meet someone with the same dress. Even so, making your own was seen as a very good way of avoiding such an embarrassment.